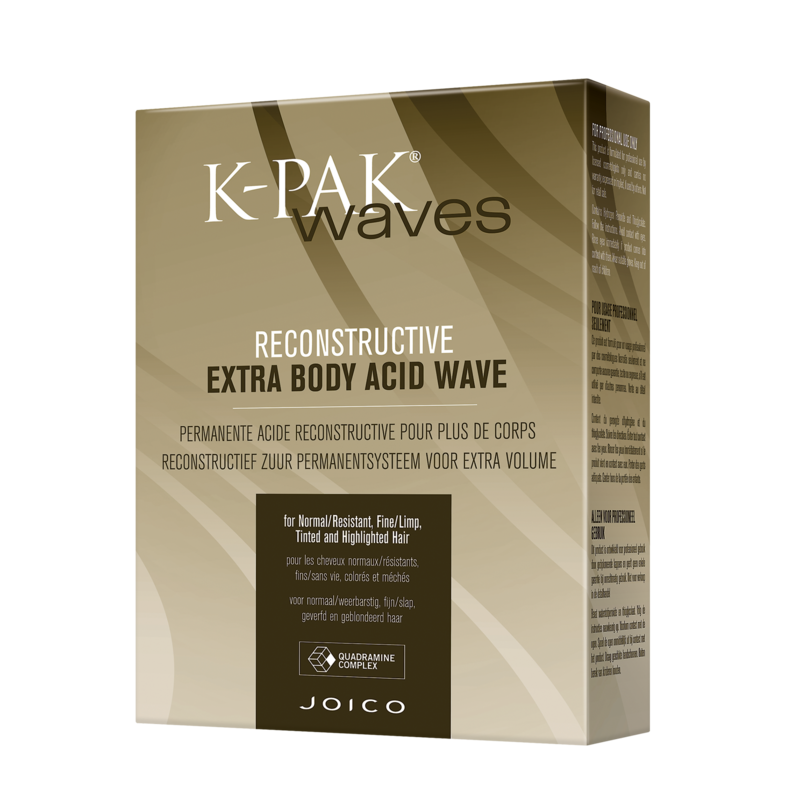 Discover the ultimate in healthy, shiny, frizz-free curls with Joico K-PAK Reconstructive Extra Body Acid Waves, the only texture system featuring the exclusive Quadramine Complex. Extra Body Acid Waves are available for normal/resistant, fine/limp, tinted and highlighted hair (up to 40% highlights). DO NOT use on double-processed hair, bleached hair or hair highlighted more than 40%. DO NOT process with dryer or heat lamps. Please follow manufacturer's packaged instructions. - Protects and shields cuticle during processing. - Stop action timing prevents over processing. - Anti-frizz technology defends against humidity.